DSW held a beauty pageant in the coastal town of Mombasa in Kenya to give young people an opportunity to have fun and access sexual and reproductive health services. 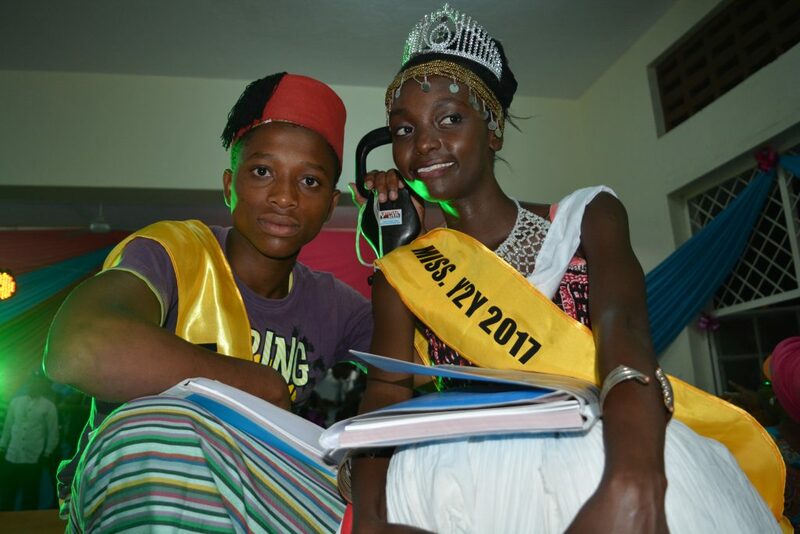 The beauty pageant, dubbed Mr and Miss Y2Y 2017 mega event, was held in Mary Cliff Primary School in Mombasa County on Saturday 11th November 2017. 500 young people from Mombasa, Kwale and Kilifi attended. Rose Akinyi was crowned Miss. Y2Y, coast 2017 while Michael Mgendi was crowned Mr Y2Y, coast 2017. Rose Akinyi, is a member of stretchers youth organization, a youth empowerment center based in Mombasa County. She also works for Pamba photography and is a part time model at terra model management in Mombasa. Speaking about the event, the Y2Y Officer in charge of the coastal region in Kenya, Ms. Juliana Mwaega, said that DSW held the event to grant young people an opportunity to showcase talent and share experiences about their work of educating their peers on matters sexual reproductive health as well empowering each other economically. “The event also crowned of the two winners, Mr and Miss Y2Y, who will be championing youth issues, represent Y2Y in county, national and international events, engage the media in advocacy and Support Y2Y’s social media engagement et cetera,” Juliana added. In attendance during the extravaganza were the County Director, Youth Affairs and Gender from Kilifi County Mr. Kent Simiyu, the County Director, youth, gender and sports from Mombasa County Ms. Hellen Nthiga, County Youth Enterprise Development Fund Officer from Kwale County, Ms. Emma Anyango, Ministry of Health Mombasa officials Rahma Hasim and Patrick Chanzera, as well as DSW staff in Kenya. During the event, DSW partnered with the county government of Mombasa to provide sexual and reproductive health services for young people. The services included HIV testing services (HTS), cervical cancer screening, family planning services alongside peer learning sessions and exhibition spaces. 581 young people accessed reproductive health information and services with 87 accessing HIV testing services (HTS). 18 accessed Cervical cancer screening services while 22 accessed family planning services. 4480 condoms were also distributed at the event 100 of them being female condoms.